•	Sign up for the free Ink Club email membership this company offers and save on all your ink refill and office supply purchases moving forward for. There are two different types of memberships available, commercial and private individual memberships, and both of these accounts will give members access to deals and discounts that meet their needs. •	Special deals, flash sale offers, and big bargains are all listed directly on the home page of this website. The hottest deals are going to be listed in the three items slider at the top of the homepage, with discounts being refreshed every week or so. •	Shop the CLEARANCE section of the site to find merchandise at discounts up to 60% or more off retail prices. Business owners and people who own printers will need to get the supplies that they need in order to make sure that their printers remain in working order. Ink Club is a Swedish company that specializes in a variety of office materials. Their most popular product categories include: ink cartridges and toner, office items, coffee, batteries, electronics, lighting, hygiene items, and more. If you're looking for specific products for the office you can use their search bar at the top of their site. You can also sign up for their newsletter to stay up to date with the latest sales or you can take a look at the home page to see if there are any available discounts. 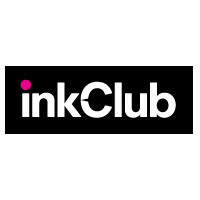 For most up to date offers check out InkClub.com on Facebook and Twitter or contact InkClub.com Support for any questions.